Better Than Never: AWP Or Bust! 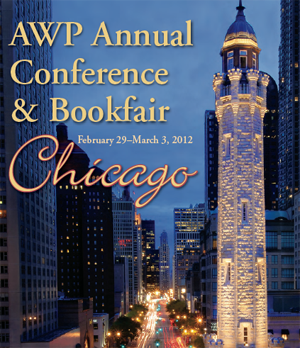 In other words, AWP is a gathering of writing professors, editors, literary journals, MFA students, and writers of every age, color, and creed, who descend upon a city and then spend three days in the nerdiest way possible - attending sessions, going to readings, and trying to network even though most writers are shy and introverted. But that's why they invented alcohol! Writers are an entertaining and an educational species to observe. In North America, there is no better location to watch writers “socializing” than at the AWP conference, where once a year in February, writers of all ages and backgrounds migrate to a city with an intemperate climate to banter, dance and mate with one another—a rare phenomenon! Fiction writers: With their paradoxical characteristics and extreme volatility, fiction writers make for fascinating viewing. Be warned—fiction writers tend to require a great deal of attention and necessitate almost as much alcohol as poets. They are very sensitive about the size and heft of pillows. Quirky fiction writers! Poets: Consider yourself very lucky if you come upon a poet—they are an endangered species! Poets can be divided into two types: those over fifty years of age, and those under thirty-two. There are no poets in between thirty-two and fifty because they have gone out and gotten jobs. Read the whole thing. It's very amusing, and will give you a good idea of what I'm up against. In the meantime, I will be doing my best to take advantage of every opportunity that AWP offers, which means I will not have to time to blog, sleep, or eat until my return on Sunday. I will, however, make time for Twitter. Some things are sacred. See y'all next week! Chicago, here I come!